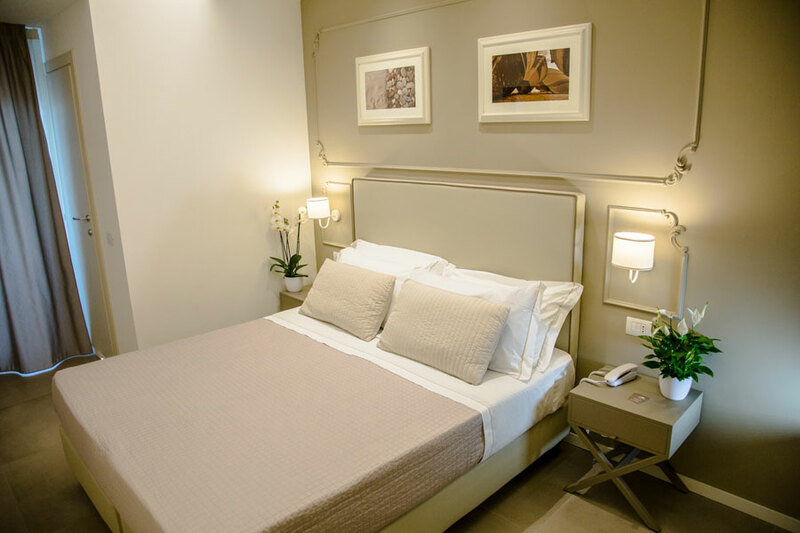 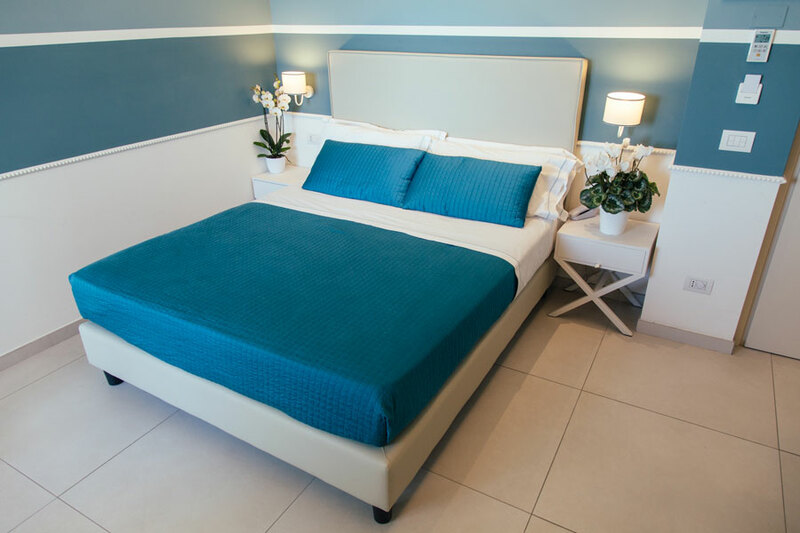 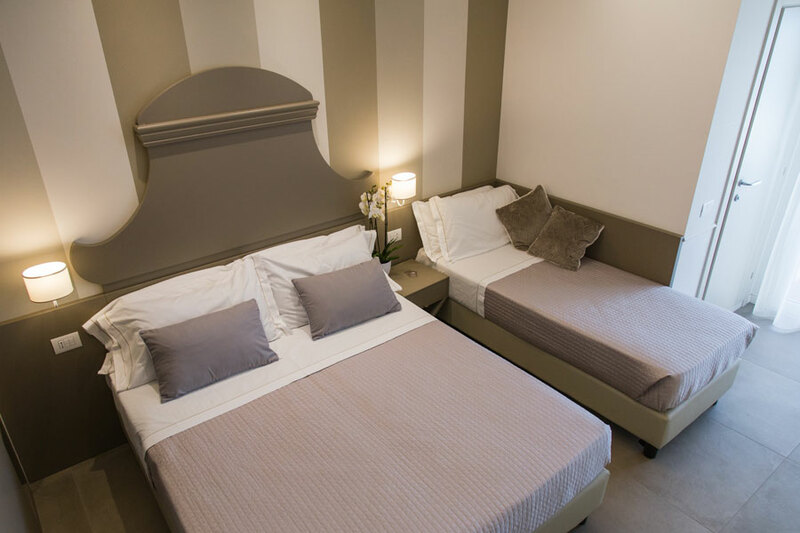 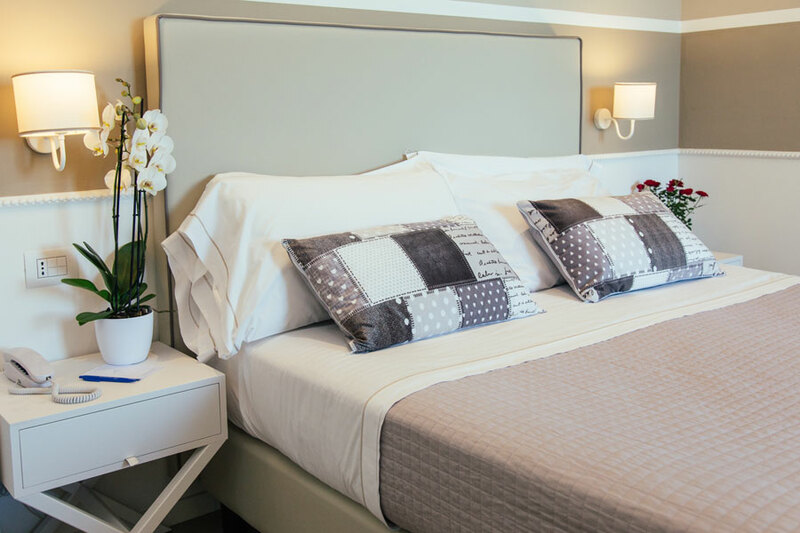 Hotel Ambassador in Marotta near Fano has 36 rooms, all of them recently renovated. 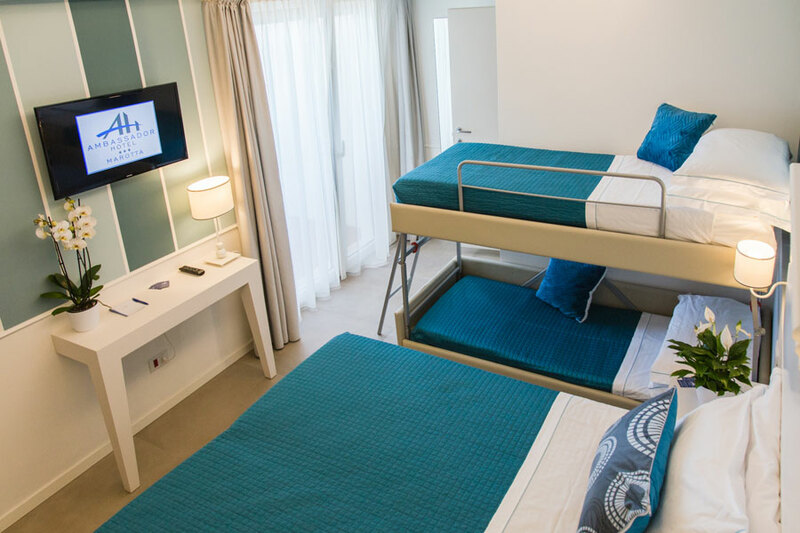 From single to quadruple, the rooms are spacious and bright, with comfortable and modern private bathrooms. 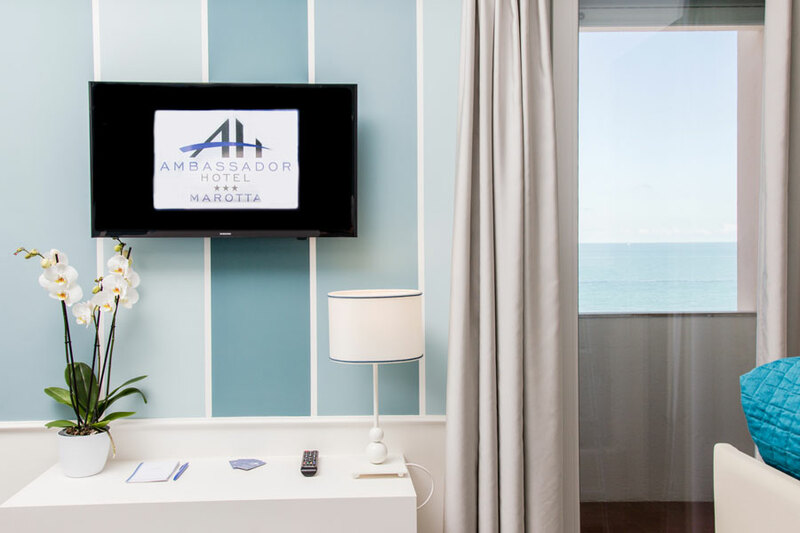 The style sophisticated and minimalist, and all rooms are equipped with air conditioning, LED TV, safe and private sea view, to enjoy sunrise and sunset in the intimacy of your balcony.